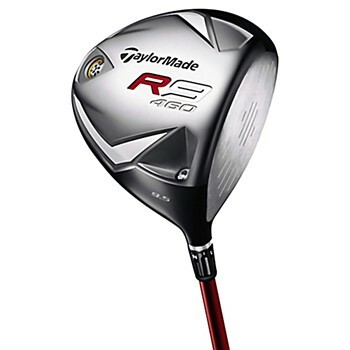 The TaylorMade R9 460 driver features a larger 460cc head with Flight Control Technology (FCT) adjustability for added flight control and up to 40 yards of side-to-side adjustability. With FCT, the player may adjust the face angle, the lie angle and effective loft by simple shaft/head adjustments with 8 different clubhead positions to choose from. Its larger head and lower, deeper center of gravity provides more forgiveness as well as a higher launch angle and increased draw bias. It also features TaylorMade's Inverted Cone Technology which promotes faster ball speeds across the entire face for faster ball speeds and more distance. Its New Classic head shape combines classic and modern lines to create an aesthetically pleasing look from address. 47 out of 52 people found this review helpful. Have used Taylormade drivers for many years.I was really excited to give this driver a try.The first swing was right down the pipe!I tend to hit the ball on a lower trajectory so I got the 10.5.This driver flies really high.Tried it in different settings but prefer Neutral the best. I generally hit a fade but can actually draw this club!Feels solid and has a nice sound upon impact.Will probably try different shafts down the line to get it really dialed in.Right now it has the Voodoo snvs shaft and I like it alot. Mishits still carry well and are not offline that much.Overall I am very pleased with the performance of this club. 53 out of 66 people found this review helpful. 46 out of 53 people found this review helpful. 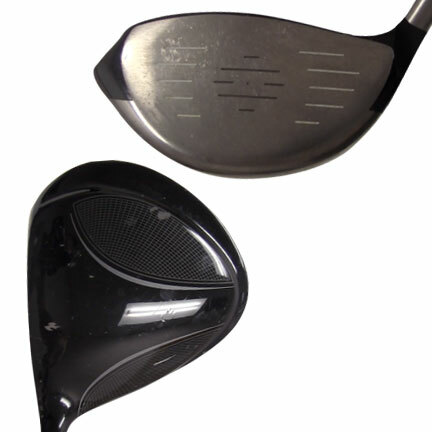 Driver seems great, but no way to adjust the driver as Global Golf does not send the wrench with the driver. Pretty much defeats the purpose of having an adjustable driver. Wish I would have read the reviews on here before I purchased....I would have just purchased a new one on ebay for $200. 39 out of 44 people found this review helpful. Purchased the R9 used to replace Taylor Burner Draw. After one so-so round I took to the range and started making adjustments. As a short hitting chronic slicer, I started in the closed position, but got too much hook. Adjusted between closed and neutral and got a little better, then changed from neutral to upright and eureka, lock it in and throw away the wrench. Club has not only added 20 yards off the tee, but improved accuracy even more. Have used for 30+ rounds without tinkering with my swing at all. Just tee it up and hit. I still hit the occasional hook or slice if I overswing, but I am clueless to explain the accuracy of this club. It has has improved my game more than any club I have ever owned. The improved distance and accuracy has provided many more scoring opportunities with my other clubs. It has knocked off 5 strokes per round for someone who has been playing for 35 years. That does not happen by accident.